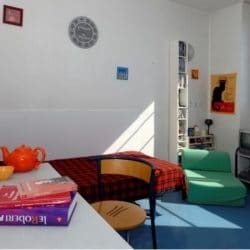 If you are looking for an apartment in Lyon,you will either go through a real estate company or deal with the owner directly. Real estate companies, also called « Regie » in Lyon, will most probably ask that you have a French guarantor who is ready to pay the rent in case of non-payment. It is normal to describe real estate by the number of rooms which make up a unit (house or apt). Therefore: A studio consists of one room, with a kitchenette, a bath-room and a toilet. The chic neighborhoods in the downtown as well as the left bank on the Rhône are always in great demand (Bellecour, Brotteaux, Préfecture) as well as the Croix-Rousse and Old Lyon. Prices for Lyon Presqu’ile (2nd district), the 4th district, the 6th disrict and 3rd districts. Equivalent to about one month’s notice if you go through a real-estate company. When you deal with the owner directly, these fees are reduced or non-existent. You will always be asked for a deposit, be it the owner or the real-estate company. This deposit is a guaranty for the owner and commits you to keeping the apartment in proper order while you are renting it. The deposit will be reimbursed when you vacate the apartment unless it is damaged in any way. If all is in order, you should receive your returned deposit within a two-month period. The deposit generally amounts to one month rent. Note that moving day entails an inspection and this document is between you and the owner, in which you note any imperfections noticed in the apartment ie broken locks, torn wallpaper, scratches on floors etc. The inspection form will be used as a reference once you leave the flat to check that no further items have been added. It is very important for this reason to be very specific in your descriptions of any problems you notice when first inspecting the apartment. If the inspection goes well, then your deposit will be returned. You will sign a rental contract between you and the owner. • the amount of the deposit, if requested. Read the rental contract carefully before signing it. It is the only legal document which can stand up in court in case there are difficulties. You must sign it twice, in two copies, and keep a copy of the one signed by the owner. In France, rent is paid at the start of the month, every month, generally by cheque or bank transfer. For all cash payments, ask for an official receipt which mentions the amount, date of payment and the reason for the cheque. • Expenses for services rendered linked to usage: elevator fees, central heating, water, lighting of the stairway, etc. • Maintenance fees and repairs of communal areas of the building ie cleaning of common areas, garden maintenance, etc. • Taxes corresponding to services which benefit the tenant: ie garbage removal, upkeep such as sweeping, etc. When these extra charges are included in the rent, one speaks of rent which is “all included” i.e. “Charges comprises” in French or “CC”. When these extra charges are NOT included in the rent, they are “in addition” or “hors charges”, “HC”. The amount for these extra charges will be indicated separately. In general, a deposit for the “provision of charges” is paid by the tenant every month or trimester. Then once a year, regularization is done in order to adjust the amount to cover the real costs in case there is a variation. 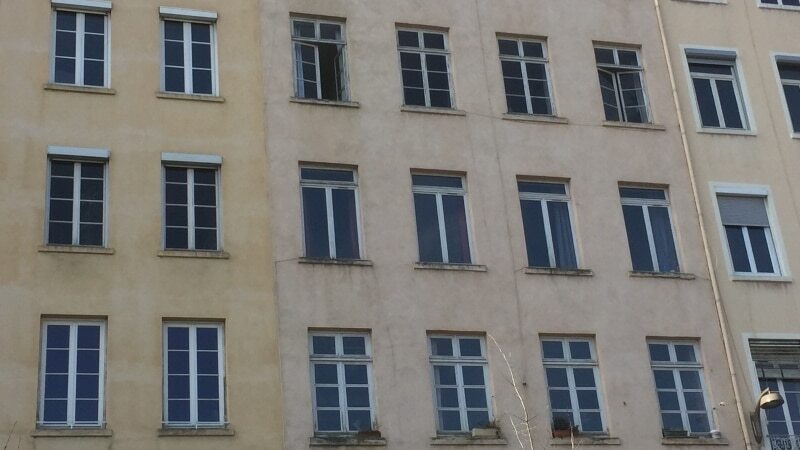 If you rent permanently a flat in Lyon, you probably will have to pay for a home tax. The renter who is in the apartment on January 1st is responsible for paying the tax for the whole year. The amount does not depend on the amount of time spent in the apartment or house. You will receive the amount of the home tax by post in October. It has to be paid by check or bank wire. The price will depend on the location of your apartment, the number of rooms, number of children if you have any etc. • University residence managed by the CROUS. • Building used for student housing, that is managed by an organization which resembles the CROUS in its financial regulations and methods of operation. If you live in a furnished room with a person who rents or sublets a room in a part of their household, you do not need to pay the local residence tax. This remains the responsibility of the owner.